Couture is always exciting. Couture challenges designers to push the artistic boundaries of fashion to the edge. Everything is fantastical, dreamlike, surreal. Couture focuses on ancient techniques and futuristic technologies alike. 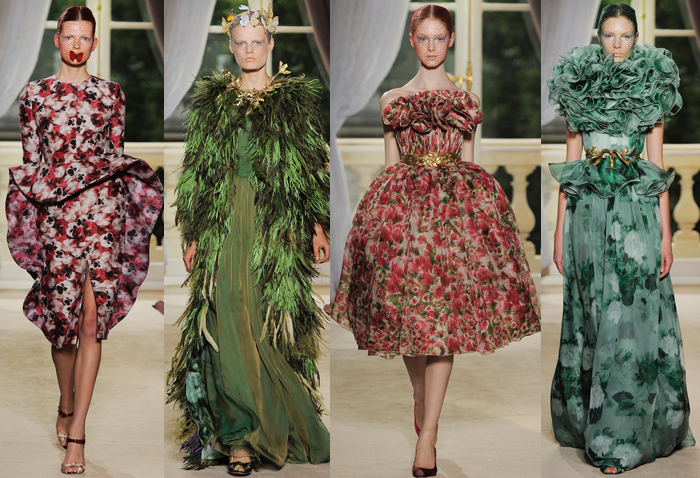 Couture is magical. 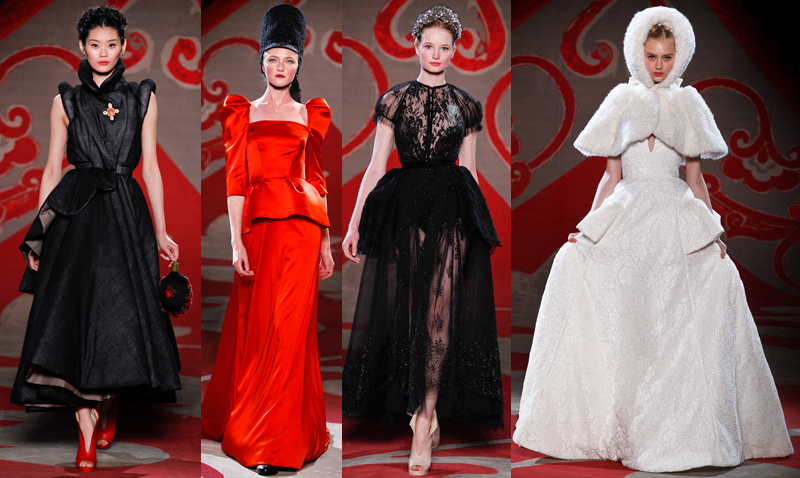 You've already heard my thoughts on the Christian Dior show, but here are my opinions on the rest of Fall 2012 Couture. 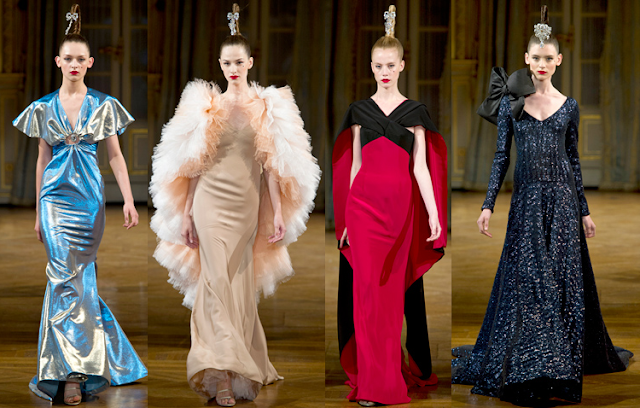 Alexis Mabille is always good for a fantasy-inspired show, full of glimmering gowns and dramatic capes and cuts. The designer used jewels as his inspiration, allowing him to take full advantage of emerald greens, ruby reds, and sapphire blues. Maybe I've just been looking at this Game of Thrones "What Would They Wear?" Blog too much, but I wonder if Mr. Mabille has the HBO masterpiece on his TiVo. 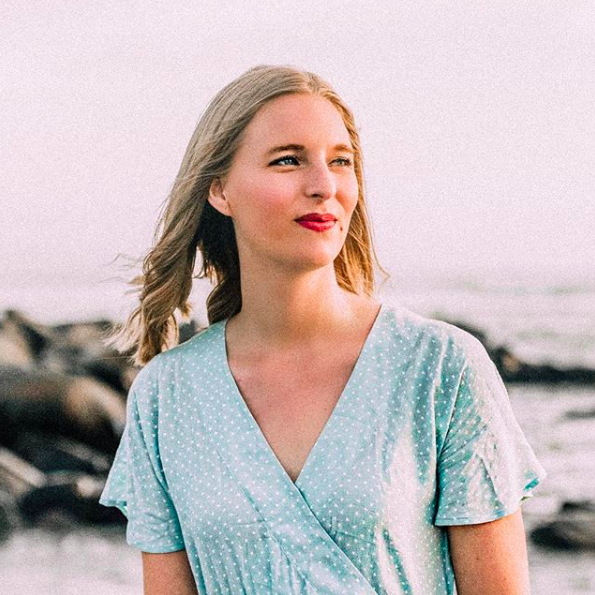 Daenerys Targaryen would totally work that shimmering blue dress; Cersei would be sassy as usual in that ruffled cream cape confection; Sansa would look princess-like and innocent in the midnight-blue dress with the bow on the shoulder. For Karl Lagerfeld, fashion can be quite the conundrum. Fashion is all about giving people something new, something fresh, but it is all rooted in the past. For the Chanel Fall 2012 Couture Presentation, the theme was "New Vintage" or a blending of future and past. In true Lagerfeld fashion, the clothes were only part of the presentation: the invite was a pink and grey sketch of Mademoiselle Coco done by Lagerfeld; the space was designed to look like Chanel's original salon de couture (source); the guests sat at white wicker chairs and tables with macarons and other vintage delights. But the clothes were the true stunners. Pink was the color of the night, and girls walked out in sequined skirts and glittering grey tights (and the sure-to-be most-wanted-accesory, sequined knit hats slung back on the models' heads. "New Vintage" indeed. 1930's silhouettes abounded, and yet, as usual, Lagerfeld made everything appear to be almost futuristic! My personal favorite? The dust pink sequin dress with fuzzy pom-poms protruding; I hope the right person wears that dress and kills it! Titled In Constantinople's Wake, the Elie Saab show was the usual tour de force that I always look forward to. Sure, perhaps Saab's love of sequins and sparkle can grow to be predictable, but he knows how to create something beautiful each and every time. I enjoy the designer's use of color stories as he transitions from one hue to the next and thus allows the show to evolve with each passing frock: first black gowns in lace, then contrasting ivory and peaches, then soft blues, and finally to golden-tinted neutrals. 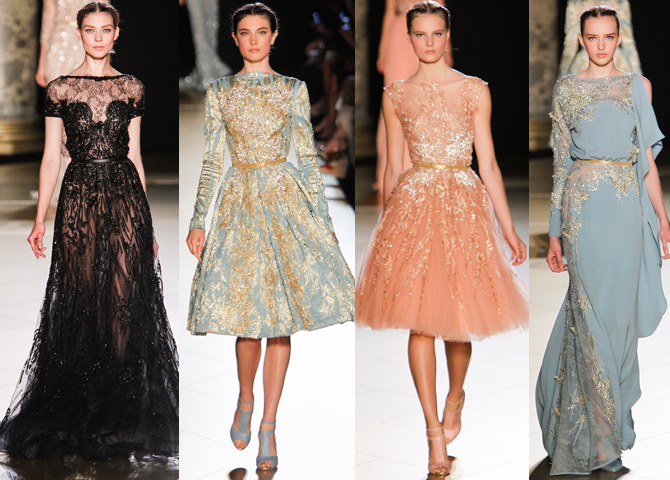 There are so many red-carpet looks here, as usual, and I cannot wait to see these gowns in action, but perhaps my favorite is the blue with gold brocade, vaguely miltary-esque dress (second from left). There is something so strong about it, and yet the glimmering details soften it, making in a dress of perfect balance. Ulyana Sergeenko is Russian. If you didn't know that already, you would have figured it out by the time you looked at her debut couture show. Long winter military coats, fur hats and gloves, babushkas: Miss Sergeenko is very interested in her homeland. The street-style star turned designer has proven herself, for her way of dressing certainly carries over to her way of designing. She shows strong silhouettes and makes her style be known, but there is a whimsicality of the collection that makes it lighthearted and, to be honest, fun! Details are exaggerated and proportions are played with (she pairs a fur cap and gloves with a military-inspired bodysuit). Many fear that the theatricality of couture has been lost, now that Galliano is out of the game (for now, at least) but perhaps Sergeenko is the new torch-bearer of fun fashion. 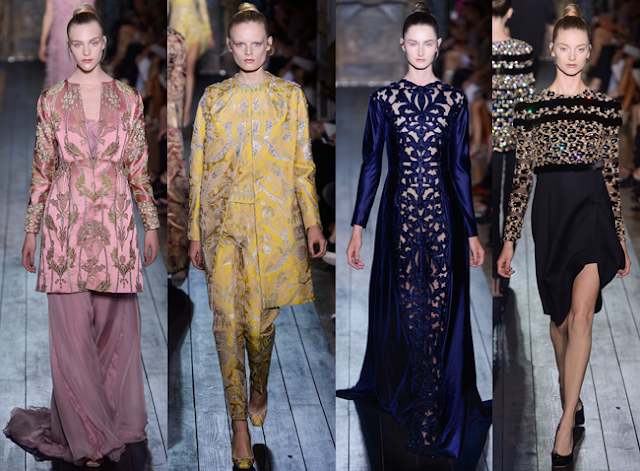 Finally, a Valentino collection that doesn't look like the costumes for the movie adaptation of a Jane Austen book! While we are talking about past Valentino collections, I don't think people were this up in arms about the new designers after Mr. Valentino himself left, and today's Valentino collection is far removed from the foundations, unlike Raf's Dior Debut. But I digress... This show was darker than past collections, but there was something very regal about the cut-out velvet gowns and brocade coats in lemons and sorbets. (Oddly enough, Tim Blanks referenced Game of Thrones in his review of the show for style.com; perhaps the show is on every top designer's TiVo these days!) This was perhaps the most ornate Valentino collection created by duo Maria Grazia Chiuri and Pier Paolo Piccioli to date, and yet nothing is overdone. Everything is still very aesthetically pleasing and poised, which I'm sure is the point. If Christian Dior's main inspiration was flowers, then butterflies are that for Giambattista Valli. Valli has been a favorite of mine and I think his is absolutely perfect for couture, and although his couture label is young, it is one of the strongest around. Butterflies were everywhere -hair, belts, even lips- and nature reigned today. Valli is not afraid to be bold, as evidenced by the strong pallet and structure of the clothes presented. The standouts? That forest fairy queen cape and gown (can't you just see Titania of A Midsummer Night's Dream wearing that?) and the sculpted asymmetrical peplums that bring new life to the season's biggest hit. Like his inspirational insect, Giambattista Valli is soaring. What were your thoughts on all the couture shows?